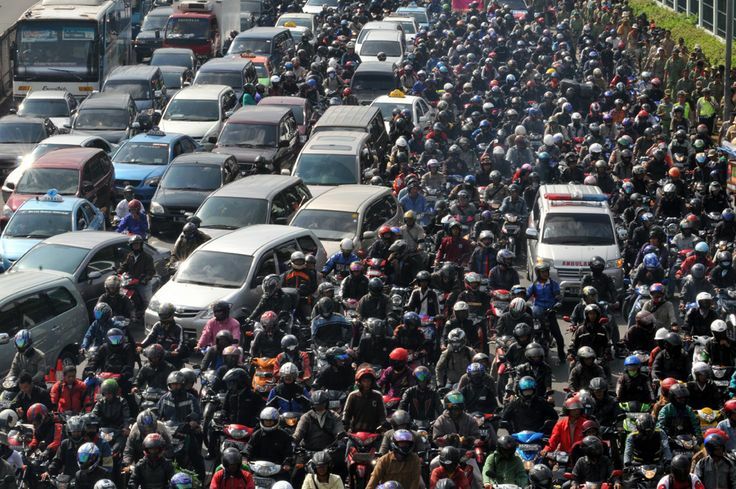 Boasting a wide range of urban problems and tremendous population growth, the city of Jakarta is not quite the “greatest city possible” that first president Soekarno envisioned it to be (source). Along with the seven other cities that comprise the megacity of Jabodetabek, Jakarta is the largest metropolitan area in Southeast Asia. The rapid expansion of this city, from a population of 150,000 in 1900 to over 28 million in 2010 (Rukmana 2014), is an effective example of the rapid development culture that exists in Southeast Asian countries. However, if we examine these unique contexts, is the nature of rapid development that we so closely associate with Southeast Asia an integral part of their culture, or slowing destroying it? We look at the insights of Harry Gibbs, a backpacker who visited Jakarta for a month last year. The development of infrastructure, such as government buildings, shopping plazas and sport facilities, began with Indonesian independence in 1945, and continued under the New Order Regime in 1967 (Rukmana 2014). Indonesia enjoyed steady economic growth during this period, along with a smaller percentage of the population living under the poverty line. By the mid-1990s, Jakarta was heading toward global city status, being the largest concentration of foreign and domestic investment within Indonesia (Firman 1999). However, the economic crisis that hit Indonesia in 1998 resulted in major disruptions of urban development, shifting the city from its global status to a state of crisis. It is this economic crisis that formed Indonesia’s economic dualism that we know today; its rapid development within a short space of time generated a dense metropolitan area, however, the sudden economic crisis resulted in the majority of the population living under the poverty line, unable to make use of it. Firman, T. 1999 ‘From “global city” to “city of crisis”: Jakarta Metropolitan Region under economic turmoil’ Habitat International, vol. 23, no. 4, pp. 447-466. < Previous Post B: New York is going green!